It's advantageous to get an early start on your chosen career, but Billy Preston took the concept to extremes. By age ten, he was playing keyboards with gospel diva Mahalia Jackson, and two years later, in 1958, he was featured in Hollywood's film bio of W. C. Handy, St. Louis Blues, as young Handy himself. 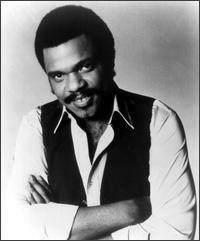 Preston was a prodigy on organ and piano, recording during the early '60s for Vee-Jay and touring with Little Richard. He was a loose-limbed regular on the mid-'60s ABC-TV Shindig series, proving his talent as both vocalist and pianist, and he built an enviable reputation as a session musician, even backing The Beatles on their Let It Be album. That impressive Beatles connection led to Preston's big break as a solo artist with his own Apple album, but it was his early-'70s soul smashes "Outa-Space" and the high-flying vocal "Will It Go Round in Circles" for A&M that put Preston on the permanent musical map. Sporting a humongous Afro and an omnipresent gap-toothed grin, Preston showed that his enduring gospel roots were never far removed from his joyous approach, less so now than ever. The link between the Band and Billy Preston dates back to 1976, when they all were working on Eric Clapton's album No Reason to Cry in the Band's Shangri-La studio in Malibu. Preston played with Rick Danko and Levon Helm in Ringo Starr's All Starr Band in 1989, and was invited to become a member of the reunited Band in 1991, after the death of Stan Szelest. Due to legal problems, Preston never got to do any studio work with the Band.